I've been getting their newsletter for a number of years, and, in general, their picks have done well, and better than when I have tried to jump on things that I've heard about in the media. Not every pick is a winner, but, on balance, I am better off for following their recommendations. I believe that if I adhered more closely to their methodology, I'd have done better. But, that's on me. Yep, I too have been subscriber for years, very happy. Based on all the negative reviews and upsell ads I will skip this newsletter. 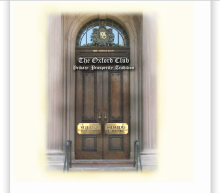 I have been with The Oxford Club on and off now for the past 20 years! Each and every time I have made money! However just like everything else you have to practice at things first! Paper trade and learn how to candle stick trade and you will always make money! I joined Oxford Club almost a year ago. I tried the bond advantage, but could never make it work, and I tried, so got out, lost 10% on their "restocking fee" lol. However, I joined Marc's Lightening Trader just last month, feel more confident about that. I think their stock picks are pretty good, but no one wins all the time. I am rating this "fair" because I have yet to see the gains or losses from the new investment program. IN THE VIDEO ON PAYROLL CERTIFICATES THE MAN DOING THE REPORT FORGOT OR INTENTIONALLY DID NO MENTION CAPITAL GAINS LOSSES FOR STOCK HOLDERS.ALSO I HAVE STOCKS THAT GIVE 4 TO 6 % GAINS ON DIVIDENDS WITH DIVERSIFIED INVESTMENTS.INCLUDING MUTUAL FUNDS PRODUCING OVER 17% IN DIVIDENDS AND CAPITOL GAINS AS WELL. PERSONALLY I LIKE THE PAYROLL CERTIFICATES PRINCIPAL EVEN THOUGH I DO NOT HAVE ANY. I've been with Oxford Club well over 10 years. As stated above, the news letters are very informative and if you are looking for investment education, they have a lot to pick from. I bought the Gone Fishing portfolio some years back and have done quite well. I don't use much of the trading portfolio, but use advice from the others. It's just a personal choice. I read every body Review about there Oxford club, interest and membership and about that new product called hyper-fi, the new Wi-Fi and every body waiting in a limbo to get played from the money they invested it's left me wondering and waiting myself and because of that I won't invest my money in to that but every body got there own choice and opioning that's my choice. Stay away from this 'service'. Too many of his bonds have defaulted and are not very safe. I keep getting bankruptcy notices on his recommendations. 1.Pick the bonds labeled b- or better, although the yields are less. 2. Beware of his sell recommendations at a capital loss, which he advertises as "minor" sometimes they are NOT. Try to stay 3-5 years out, good companies, and buy at a discount, and you will be fine. Reject his hi-flyers. He has some flameouts and bankruptcies in those issues, and he has no insider info at all---that I can see. I am a very Senior and would like an opportunity to make some investments that are reliable and not to expensive , if if do invest, could I list my children as beneficiaries ? I do not wish to leave anything that would be left in Limbo ! I did some investing years ago and had a very good income, but every time my kids needed money it was " Hey Mom" and i would give it to them and was never paid back . Right now I do not know how much more time i have left and would not like to leave them without any assets ! I did buy some precious metals and that might be a good alternative, but you never know if that will be a good investment as the government is always threatening to confiscate any money that we have saved, right now more than ever ! I am not pleased as to what they are doing to the citizens of the US ! this is not a letter for a review but an impression of life as it is today ! Is it a good time to invest under these conditions ? I will say the market has out-performed High-Yield bonds tenfold over the last year. Why invest in high-risk assets with low rates of returns especially if you are a senior? I am not sure what planet you are living on, but the government is already confiscating citizen's money via asset seizure all across America, without warrant or probable cause. The Health Care legislation is also confiscation via taxes and surcharges on the middle class to support this grandiose scheme---with no positive benefit as to health care for the poor or anyone else----just more expensive for the majority of us, and unbelievable intrusion into our personal data and the doctors practice. If things become dicey, expect capital controls and a government haircut to your bank and brokerage accounts a la Cyprus. Yes, it can happen here and probably will if more pseudo-Marxists get into power. you are correct sir. I would stay away from the stock market and invest in short term hi yield bonds as I have described above in the Oxford Bond Advantage---read the above notes. 5-10% in silver and gold bullion, as cheap as possible, will probably be good too. This administration is bent on wealth redistribution, which was exactly what the Health Care legislation accomplished with no improvement in health care for the poor. The immigration enthusiasts also want to pick our pocket to support 20-40 million south of the border folks who will require food, housing, medical care, schools, jails, courts, etc.----so taxes will go up to support these "new" voters who vote their pocketbook and freebies only. PS. The government is NOT going to confiscate your savings, either. Stop watching Faux News. I don't know which is worse, buying gold or handing out money to your kids every time they think they need it. Get a competent fee-based financial advisor. That does NOT mean someone who gets paid by commission. It will cost you a few hundred, but it's better than throwing your money away like you have been doing. I enroll the Oxford membership and they charge the membership without any authorization. It frighten me and disconnect from them. They are also quick to cancel upon request and are courteous about it. As with any stock recommendations, research tools are widly available on the internet. I find Yahoo Finance to be an uncomplicates source of plausable research. Maybe you are not communicating with them properly. Pick and choose wisely.If it sounds to good to be true then it probably is not.Research and make a common sense decision.I do not pay for the extra hype they try to sell. I like what advice Marc Lichtenfeld has offered.